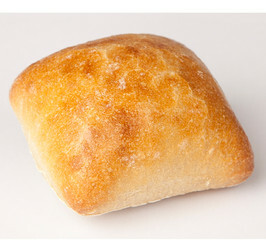 White mini roll of sourdough made from organic ingredients. 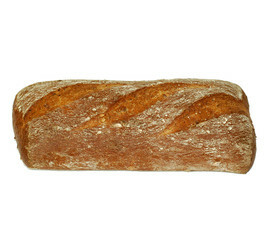 A small size white loaf topped with poppy seeds. 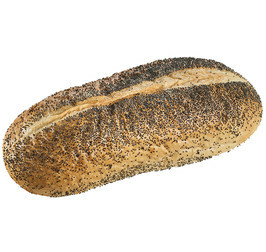 White roll topped with poppy seeds. 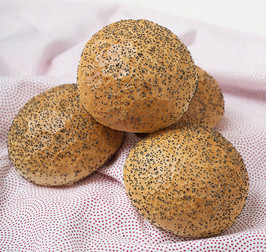 Mini roll baked with buckwheat sourdough. 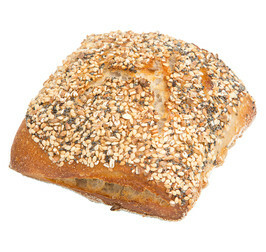 Decorated with flaxseed and sesame seeds. 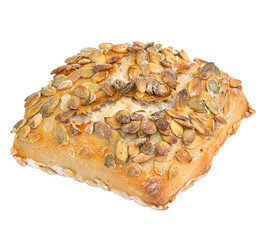 A rustic portion bread with pumpkin seeds and rye. 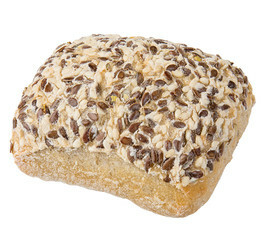 Sunflower kernels at the bottom of the bread. 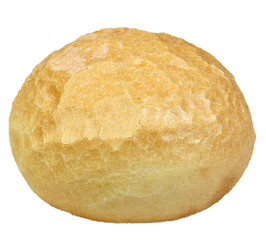 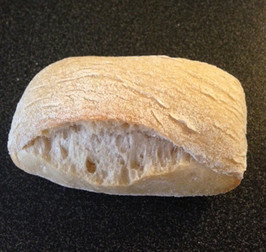 A small rustic roll made of sourdough. 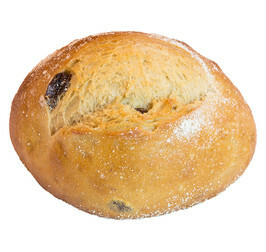 A small size rustic mini roll baked of sourdough. 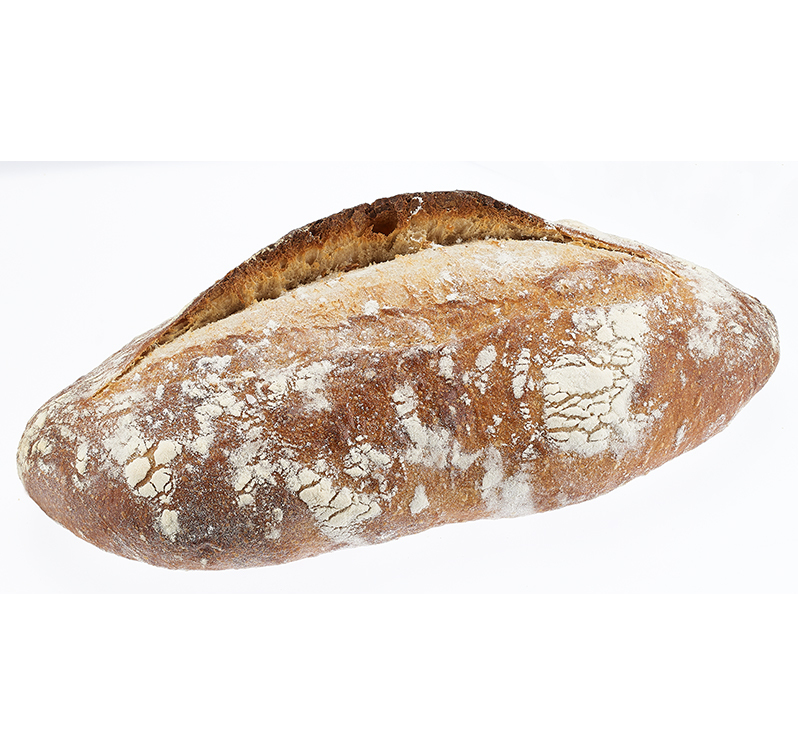 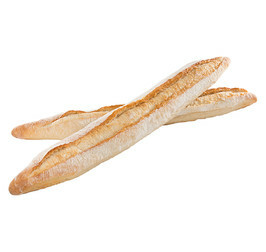 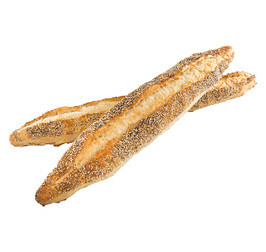 A rustic sourdough baguette topped with multiseed mix. 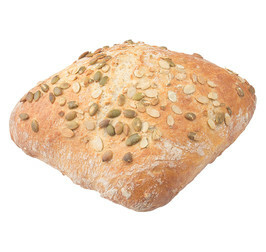 Sourdough bread baked with dinkel and decorated with pumpkin seeds. 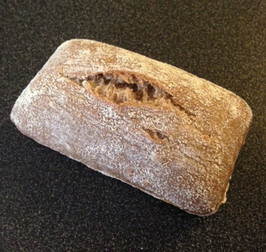 A classic swedish rye loaf.